Have you ever wondered about how to make money online? What if the two could be intertwined? 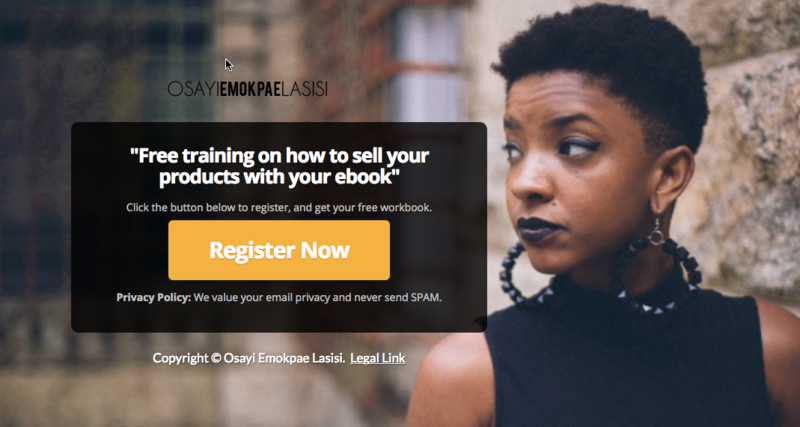 What if you could use your ebook to create the kind of lifestyle business you desire? I always talk about how writing my book helped me to get out of the pits of depression…but what I didn’t tell you was that that book also helped me to get the kind of attention online that I never imagined I could get. And it helped me to start making money doing what I love to do. It helped me to connect with some amazing people online, that I didn’t even expect to reach. Not only that but people who don’t know me are still quoting my book and this often leads to business opportunities for me…just because I wrote a book. See what I didn’t realize then was that people are looking for a way to help you, but they want to help you in a way that also makes them look good. And when you write a book, they feel like they have the opportunity to do just that. So when I wanted to launch my next book it was easier…and I was able to create two Amazon Bestsellers in one month. Then When I launched the MoneyMaking Virtual Summit I knew what to do to get speakers and get people to watch and pay. And now any time I launch a new project, I already have the attention of the people I need, so I have enough people willing to pay. Because to be frank you only need 10 people to pay you 10K for you to make 100K…or just 4 people to pay you 25K to make 100K, when you have the attention of people, making money becomes easier. ✅How would you feel if you were a published author? ✅How would you feel if whenever you go to events people talk about how your story has changed their lives? ✅How would you feel if what caused you pain can actually be your greatest miracle? ✅How would you feel to finallly be making money doing what you love? ✅How would you feel to know that no matter what product you sell, you could get as many people as you want to buy? What if it could start with just a *simple book*??? ?